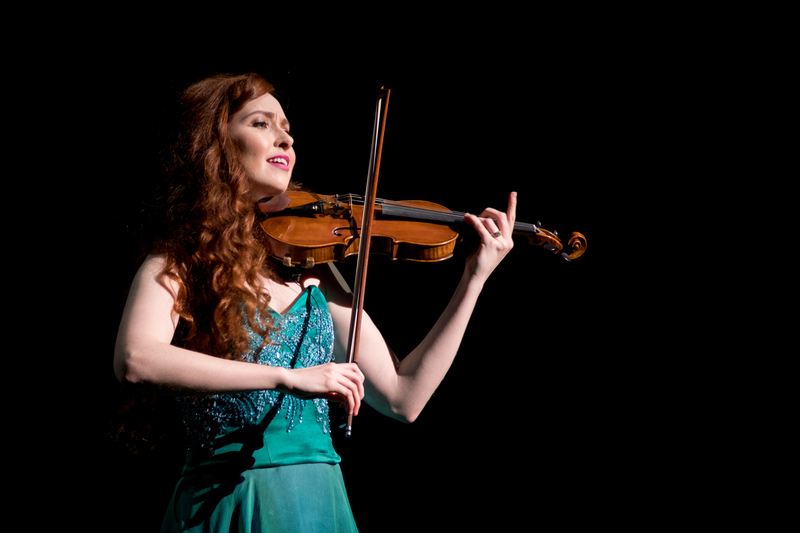 It was a packed house on Friday, June 16th at the Fabulous Fox Theatre as people arrived in droves to see the renowned Irish show Celtic Woman in its most recent adaptation Celtic Woman: Voices of Angels. Having never seen the show in any of its forms, I was excited to see what all the hype was about, and man did these performers deliver. The Voices of Angels tour is the much-acclaimed continuation of the legendary Irish show, which features extremely talented female singers backed by Irish musicians and male choir members. Originally started in 2004, the show has seen many of the main female members come and go, but the most recent tour Voices of Angels has four extremely talented women taking the helm. 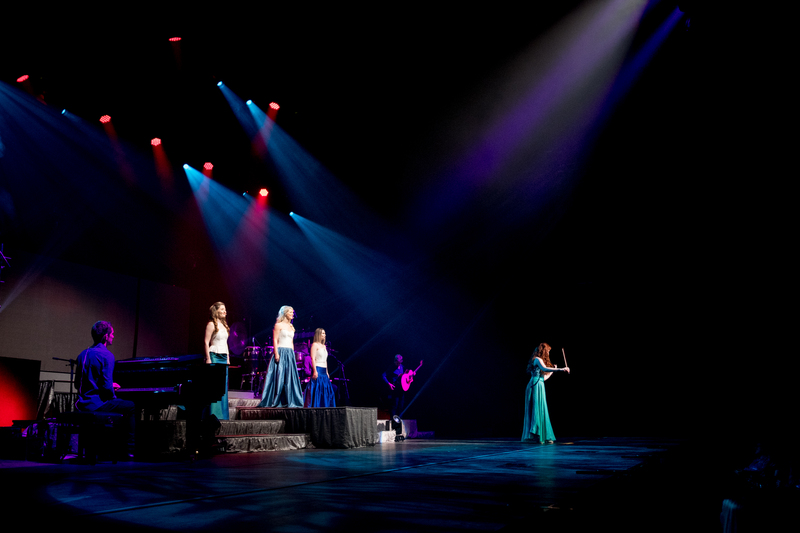 The newest Celtic Woman ensemble includes singers Mairead Carlin, Susan McFadden, Eabha McMahon, who are joined by violinist Tara McNeill. Not knowing what to expect from the show, I had images of beautiful Irish women wearing jewel-tone dresses while singing extremely high notes to songs I didn’t fully understand. While that is a very rudimentary summation of what did take place on Friday night, the show offered so much more. Yes, there were beautiful gowns in rich, decadent fabrics, and yes, all the women are gorgeous and can sing or play really well, but to just stop there would not do justice to the magic of the evening. As a woman who attends concerts and musicals regularly, there was something so powerful and unique about four women taking center stage and each showcasing their own musical talents. What was also extremely impressive was the focus, control, and grace that each woman brought to their performance. All three of the singers had to balance singing, dancing, and playing one musical instrument (in floor sweeping gowns no less), and the violinist Tara McNeill, a multi-instrumental musician, danced all over the set while passionately playing her violin. Did I mention she had to wear heels? And there were stairs involved? There were moments when the male choir members and the supporting musicians were able to demonstrate their own talents with instrumental solos and musical “battles”. Percussionist Ray Fean had the audience laughing and clapping along as he humorously and effortlessly played his drum with capability and ease. 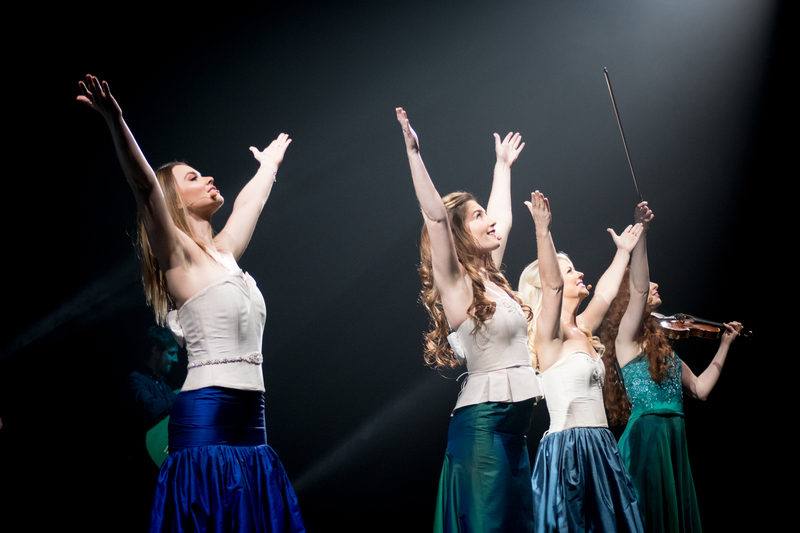 There were also moments when two of the male choir members showed off their Irish dancing skills, emphasizing the observation that to be a member of the Celtic Woman cast means being multi-talented and flexible. Each member had to be on point so as not to detract from the atmosphere of the show, and this cast rose to that challenge. The evening performance was wonderful, and I can see why Celtic Woman has withstood the test of time and continues to awe audiences around the world. The music is beautiful and original, much like Ireland itself, but it’s the talented group of individuals featured in it that truly gives the show its magical quality. I wasn’t sure if this performance would be my cup of tea, but the show proved to be a wonderful experience that anyone and everyone can enjoy.